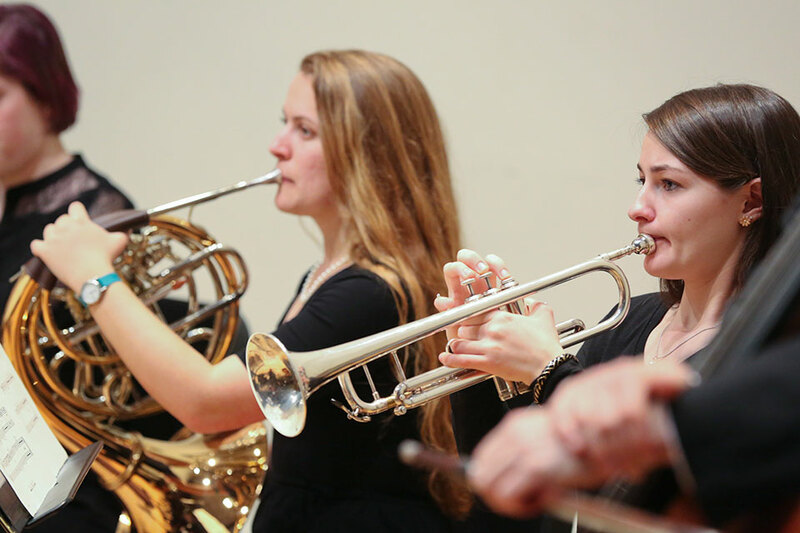 The Music Department has established guidelines for student recitals in order to help student performers in organizing their recital projects. Students and faculty must go over these guidelines carefully when considering giving or approving a recital. Only undergraduate music majors and members of the Leonard Bernstein Fellowship Program may apply for recital sponsorship from the department. Please refer to the Recital Guidelines (pdf) for information regarding your recital. Departmentally sponsored concerts will be given precedence in scheduling the Recital Hall. There are dates saved exclusively for students on the Performance Track, please check with the Concert Program Manager. In order to reserve a concert date, the student must obtain a signed permission form from her/his private teacher, indicating that the teacher has approved the date, repertoire, and length of the program. Each private teacher is encouraged to develop a set of guidelines for his/her students' recitals, including length of program, appropriate repertoire and level of preparedness. The deadline for the Major Recital Form will be December 1. The deadline for Non-Sponsored Student Recitals will be one (1) month before the requested date. The hall may be reserved by Brandeis students, student groups, faculty, and alumni one (1) month before the requested date using the Hall Request Form. All forms can be returned via email to the Concert Program Manager. All non-senior recitalists will use a one-page format for their program. Please download the Student Program Template (.docx), complete the information and email the file to the Concert Program Manager and leave a hard copy of the program in the music office, 1 month (4 weeks) prior to your recital. Senior recitals will have a standard one-page folded program with cover and bio. This information needs to emailed to the Concert Program Manager 1 month/4 weeks prior to your recital. All texts will be printed on 8.5x11 white sheets, corner stapled and handed out with the program. Texts can be emailed to the Concert Program Manager or hand delivered to Room 219, 1 week before scheduled recital. Poster information and images should be emailed to the Concert Program Manager 1 month/4 weeks before scheduled performance. Remember, this is your shining moment and we want to help you all that we can, but it is your responsibility to submit the forms, programs and posters on time.